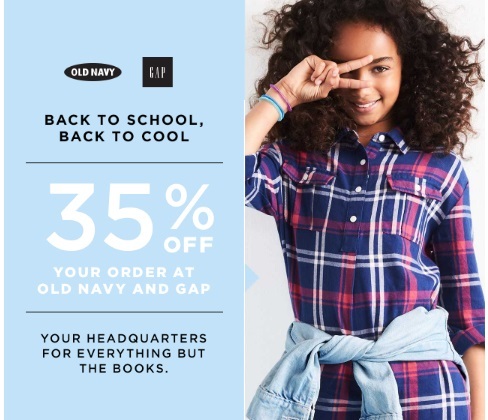 Old Navy & Gap have a Back To School Back To Cool sale on now! Save 35% off your entire purchase with the promo code below! Enter the promo code COOL35 to get the discount. Restrictons apply. This is an online exclusive that ends Tuesday, July 26 2016. Click here to browse Old Navy and Gap here.